Inside the Henry Herbert Tailors workshop – a well-dressed lamp…or a well-lit suit? One of the many uses of Savile Row bespoke tailoring, in our bespoke suit tailor’s workshop in Central London. 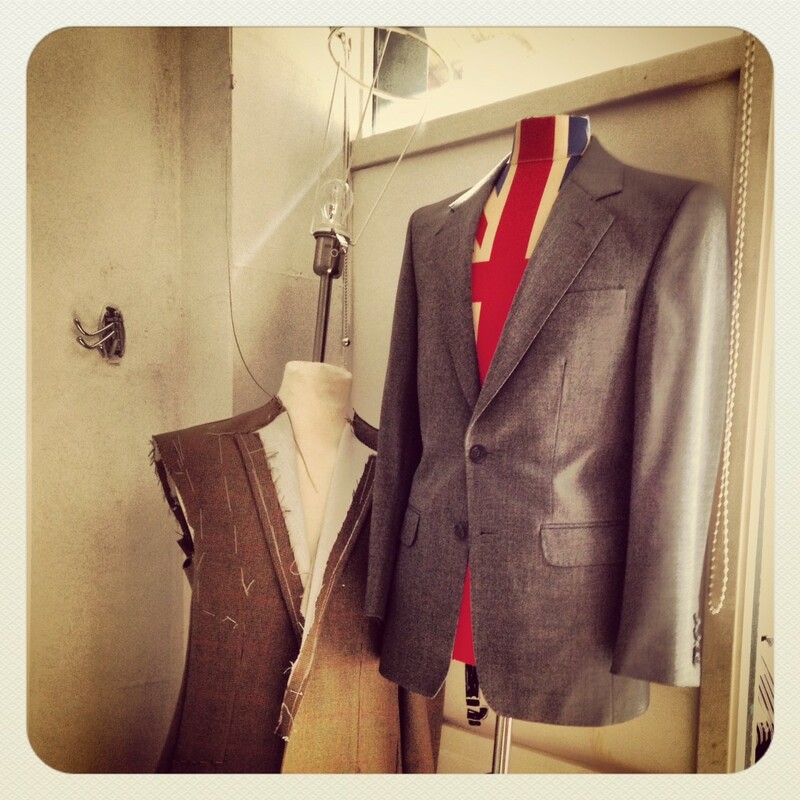 Behind the Seams: Inside a Bespoke Suit Tailor's London Workshop Part II - Henry Herbert Tailors. Behind the Seams: Inside a Bespoke Suit Tailor's London Workshop. Find out what goes on "behind the seams" at Henry Herbert Tailors. We hand-make tailored bespoke suits, shirts, morning suits, overcoats and waistcoats to each individual customer's pattern.